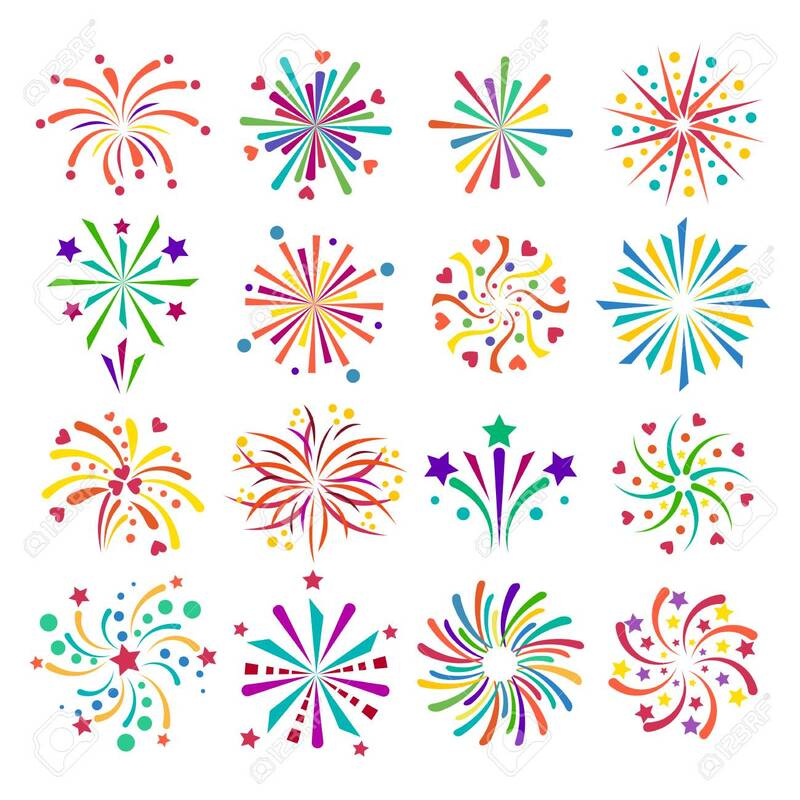 Festive Firework Bursting Shape Firework Pictograms Isolated. Firework Abstract Vector Isolated Illustration And Party Fun Firework Celebration Holiday Vector Sign. Firework Show Isolated Royalty Free Klipartlar, Vektör Çizimler Ve Stok Çizim. Image 61961346.